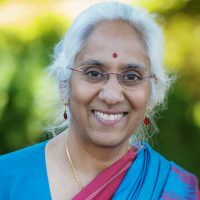 Saraswathi Vedam is Associate Professor of Midwifery and Lead Investigator of the Birth Place Lab, at the University of British Columbia. While Director of the UBC Midwifery Program from 2007-2012, she led the curriculum renewal that led to support from the BC Ministries of Health and Advanced Education for expansion of the program. She has been a clinician and a health professional educator for over 30 years. Her scholarly work includes the national, CIHR-funded Canadian Birth Place Study examining attitudes to place of birth among maternity care providers; and Changing Childbirth in BC, a provincial, community-based participatory study of women’s preferences for maternity care. She has developed clinical screening and quality measures including, MAPi, the Movement and Pulse index for assessment of fetal well-being, the Mother’s Autonomy in Decision Making (MADM) scale and the MOR (Mothers on Respect) index.